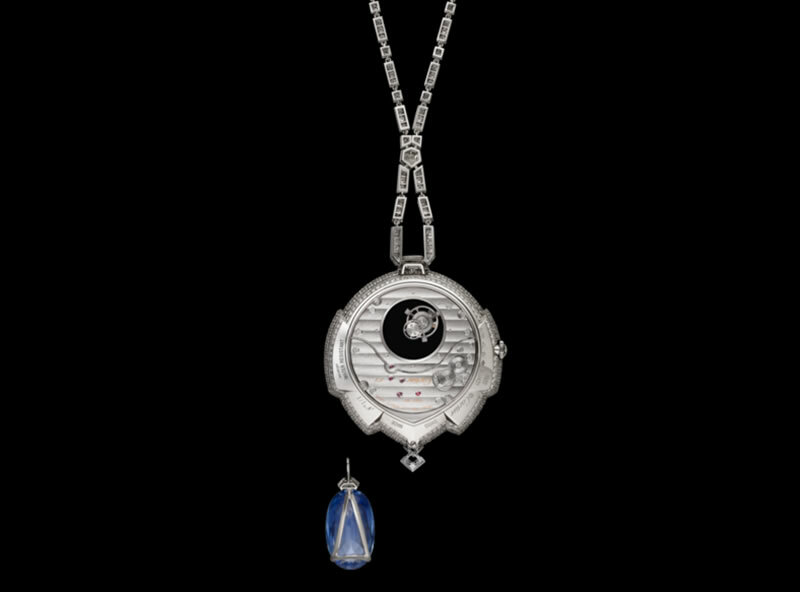 Drawing a delicate line between fine watchmaking and high jewelry, Cartier unveils Tourbillon Mystérieux Azuré pendant watch at the world’s most luxurious watch exhibition, SIHH Salon International de la Haute Horlogerie. The unique object can be categorized as a pendant as well as a watch. 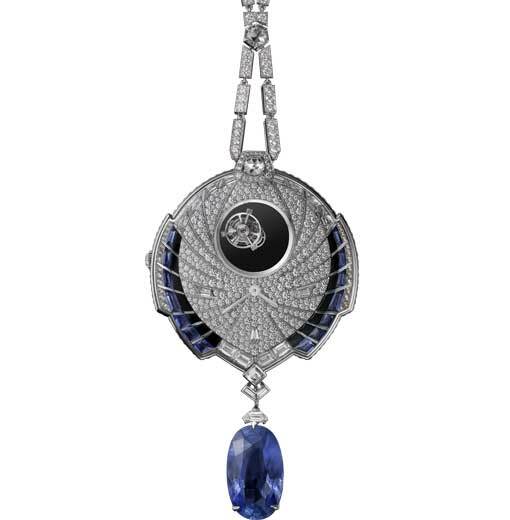 Paying tribute to the French jewelry house’s rich heritage, it can also be flaunted as a Cartier medallion. The pendant, designed by an expert hand, takes the form of a butterfly with its outstretched lines and rhythmical curves. The wings are comprised of sapphires, with rows of diamonds making up the body. The heart of the transparent dial is fitted with a mysterious double tourbillon caliber 9463 MC, suspended in the void. The chain of geometrical motifs set with diamonds is adorned with a perfectly detachable 25.93-carat oval sapphire, an extraordinary jewel from Sri Lanka. The fully decorated watch movement is visible on the rear face via a sapphire back. 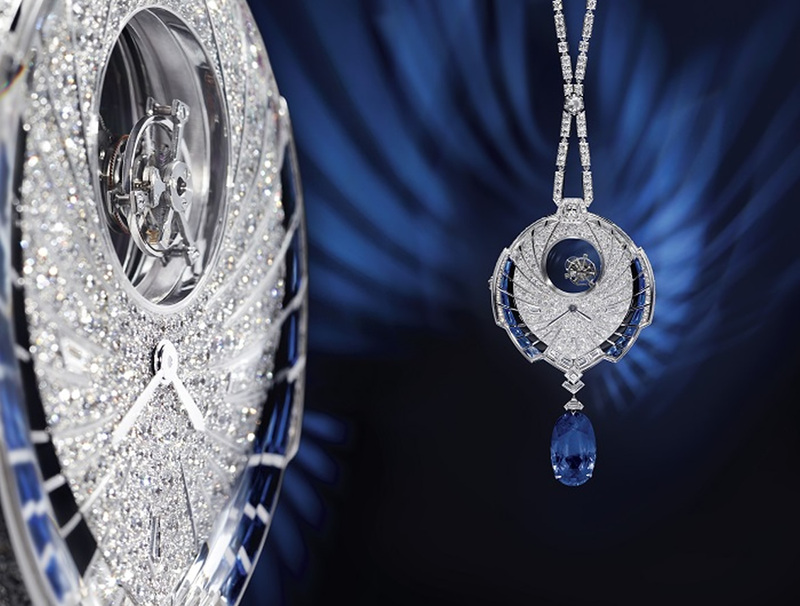 Water-resistant up to 100 feet, the Tourbillon Mystérieux Azuré pendant watch is a unique piece.